New to paddle boarding? Here’s some helpful advice to get you paddling ASAP! Stand up paddle boarding is a fun activity you can do on oceans, lakes, rivers, and bays. It’s a great full body core workout and way to experience the beauty of the outdoors. Best of all, it’s perfect for people of all ages, body types and skill levels. There’s even enough room to paddle with a dog, friend, child or significant other. 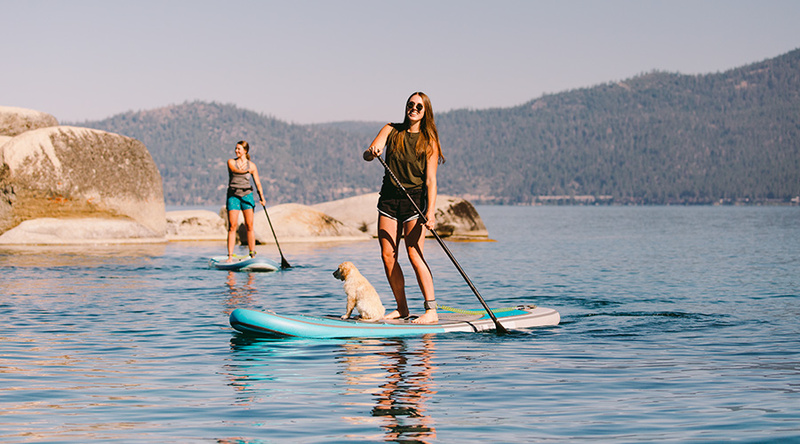 Over the years, paddle boarding has continued to grow in popularity because it gives you the freedom to explore the beautiful waters the surround our planet. 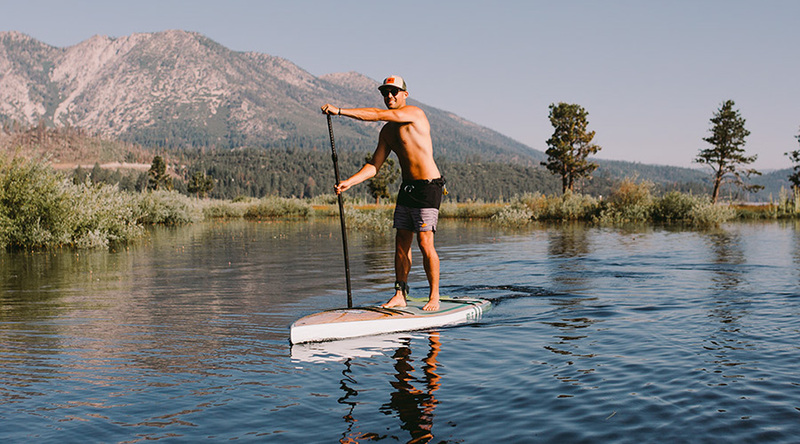 Stand up paddle boards come in all shapes and sizes. The most common type of paddle board is your traditional epoxy paddle board aka hard paddle board. An epoxy paddle board is fiberglass wrapped around an EPS foam core, with one or more fins to help the board track in the water. 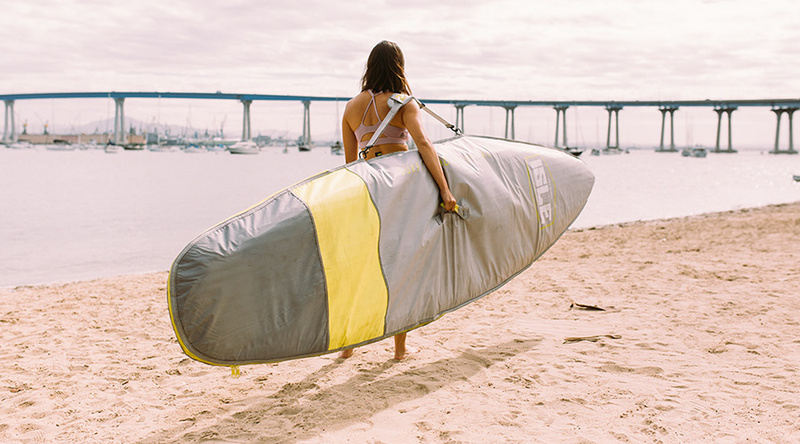 In 2014, a new paddle board construction was born – inflatable paddle boards. Today, inflatable paddle boards are super popular. Inflatable SUPs are great stand up paddle boards because they provide many benefits that epoxy paddle boards do not. However, both types of paddle boards are great options depending on your lifestyle and needs. Which one is right for you? A stand up paddle board is much thicker than your average surfboard. Paddle boards typically range from 8 to 12 feet in length, 28 to 32 inches wide, and 4 to 5 inches thick. Beginner paddler boarders should choose a wider, longer and thicker board. This will offer the greatest stability to learn the paddle board basics on a flat body of water. As you gain experience, you can progress to a smaller paddle board. 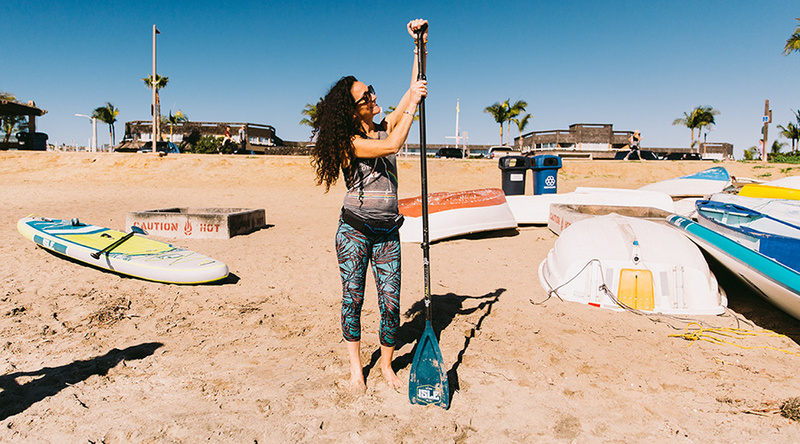 The most common SUP shape for beginners is an All-Around paddle board. However, there are a few different types and shapes of paddle boards to consider. Some include Scott Mount attachments like fishing rod holders, bait trays, etc. If you’re not sure what style SUP is best for you, head to your local rental store and try out a few different styles. If you’re in San Diego, visit our SUP showroom to see the different boards, ask questions, and find the best SUP for you. 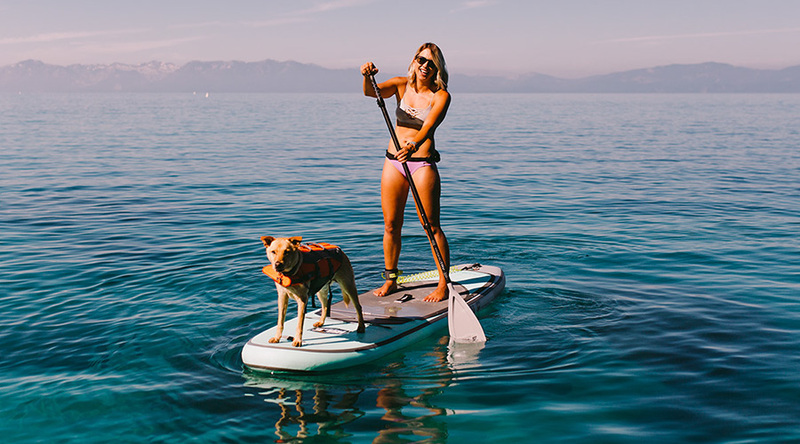 Once you’ve chosen the type of paddle board you want, you’ll also need a few pieces of paddle board equipment including a paddle, leash, board bag, and personal flotation device (PFD). Stand Up Paddles come in a variety of constructions including: plastic, aluminum, wood and carbon fiber. All of these constructions come with a variety of handles, blades and shaft shapes. The general rule is that the paddle used with your paddle board should always be 6 to 10 inches above the height of the paddler. Size your paddle on the longer side for flat water use and the shorter side for use in the surf. The blade is typically bent at a slight angle to the shaft to allow for more forward reach when taking a stroke. 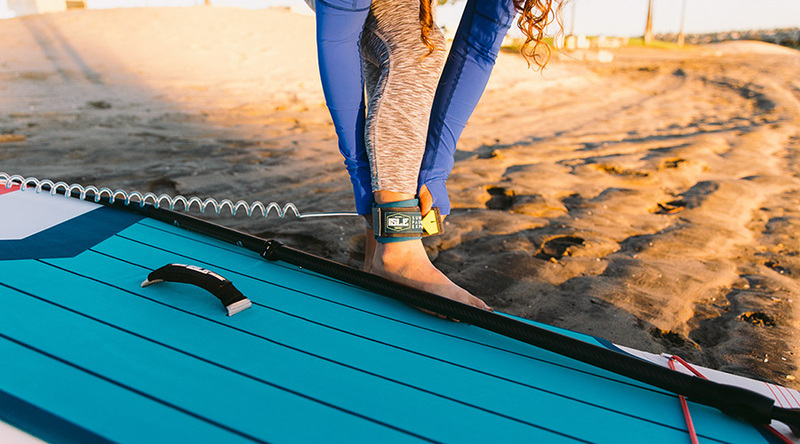 A SUP leash keeps your paddle board attached to you with a Velcro strap around your ankle (or calf). Leashes come in a variety of sizes, and the general rule is to use a leash around the same size or slightly smaller than your board. In the event of a fall, currents and winds can quickly sweep your paddle board away from you – and in the ocean, your board becomes a lethal weapon when carried with the force of an ocean wave. Always remember to use your leash! The majority of dings and blemishes happen outside of the water – usually in transportation or storage. SUP board bags will remove that dilemma and conveniently aid in traveling, as well as add years to your board’s life. Note, inflatable SUPs usually come with a board bag. If you use your stand up paddle board beyond the limits of a paddling , surfing, or recreational use, the U.S. Coast Guard requires you to have a USCG-approved life vest. It’s important to understand the Life Vest Safety Laws before you get out on the water. Learn more from the WPA (World Paddle Association). 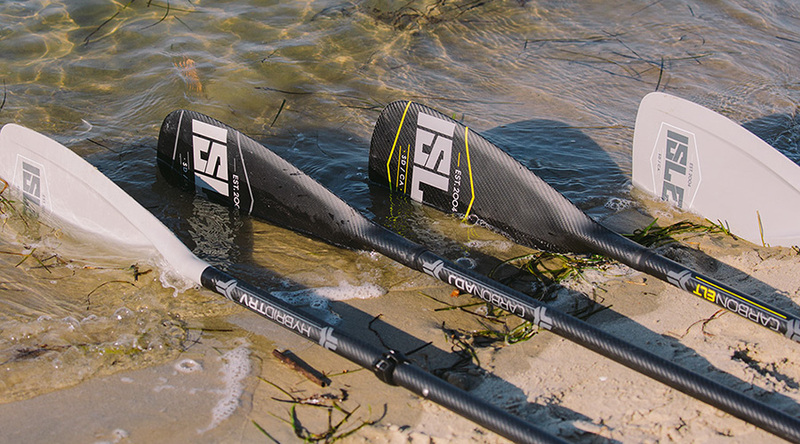 There are four SUP paddle sizing methods for you to try out. One method may work better than the other. Find the method that will provide you with the most comfort and paddle efficiency. Always start in calm, flat water with a nice wide board. 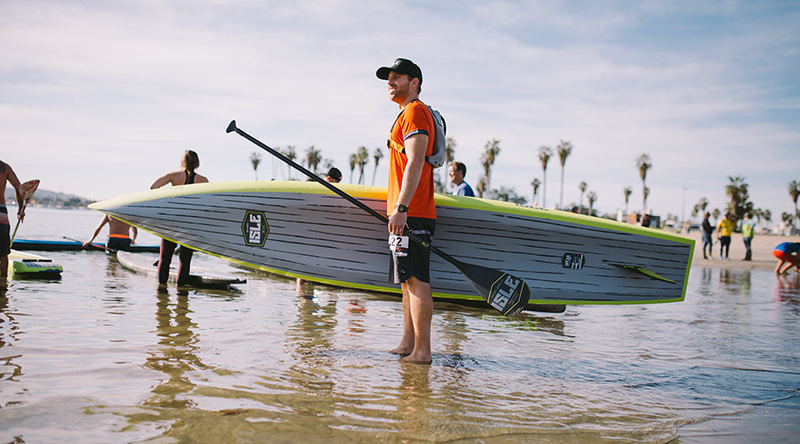 We recommend using a 30-inch board that is about 11 feet long for all SUP beginners. The board should feel comfortable and not unstable when standing up. If it still feels too unstable after several attempts to gain your balance, try a larger, wider paddle board. Keep in mind you may fall off, when you do, hop back up and try again. If you get cold easily, we recommend wearing a thin wetsuit. SUP Beginner Tip: Many people start out on a board much too small, and can never seem to gain balance and become disheartened. Learn more about how to choose the right size SUP board for you. If you’re unsure, always go wider and thicker. There are a few basic philosophies on paddle technique, but all revolve around using your paddle as a lever. Your top hand will be driving the lever and the bottom hand will act as the pivot point. Keep your bottom arm straight and relatively still. Pull your top arm toward your body to extend the paddle forward. Rotate your top shoulder forward and extend your reach. Insert the paddle into the water as far forward as possible and bury the paddle into the water. SUP Beginner Tip: Always remember to switch the position of your hands when your paddle changes sides to efficiently paddle your SUP. To turn left, place the paddle in the water on the right side. At the same time, turn your torso to the left side. Keep a low stance and pull to the right, towards the tail with the paddle, while twisting and leaning to the left with your torso. You’ll feel the board shift to the left quickly. To turn right, place the paddle near the tail and pull toward the nose while shifting your torso to the right — this will spin your board’s nose to the right hand side — the more you bend your knees, the easier it will be to turn the board. To ensure you have the best time on your SUP use our top paddle boarding tips to avoid making the common SUP mistakes. DO: Always hold the paddle with one hand on the top of the handle and the other on the shaft. DON’T: hold the paddle like a broomstick, with both hands on the shaft. DO: Keep your feet parallel, spread shoulder width apart, and your toes pointed toward the nose. DON’T: Get in a surf stance – everyone wants to, but that makes paddling on the flat water ten times harder. Plus, you will fall. Save your surf stance for the surf. DO: Make sure your grip on the paddle is shoulder width apart — short grips will give you a powerless stroke. DON’T: Only use your arms – you’ll get tired faster and not paddle efficiently. Let your big back muscles do the brunt of the work. DO: Dip the blade fully into the water and take a long stroke, letting your large back muscles do the work. 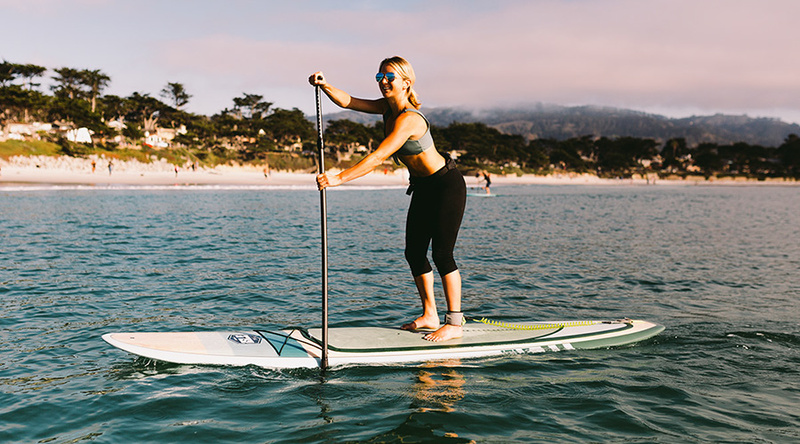 Since paddle boards are so large, getting your SUP to the local beach or your next travel destination can be a difficult task. Here are some tips to help make it easier. Shoulder Carry – With the paddle in one hand, lift the board from the tail with the nose on the ground. Walk to the center of the board and shift the board’s weight back to balance on your head. You can then shift the board over to balance on your shoulder. To lay the board back down, just follow the steps in reverse order. 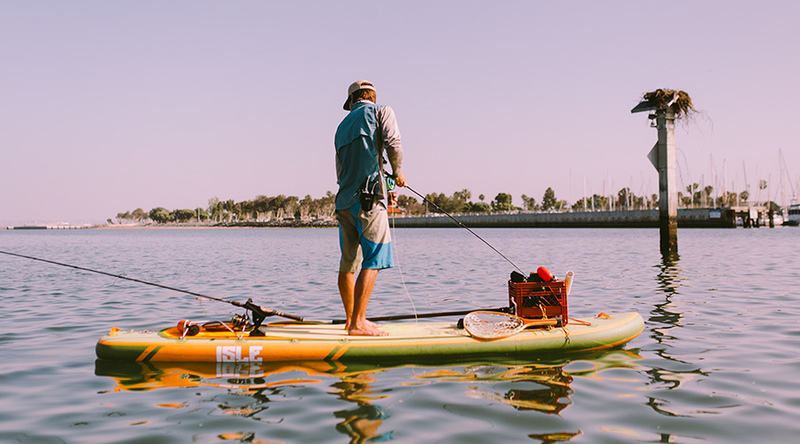 Handle Carry – The carry handle is a small handle installed at the center point of our boards so you can carry it to and from the water simply. Just lift the board by its handle and go. Car Racks – Paddle boards can be strapped on any vehicle with car racks. 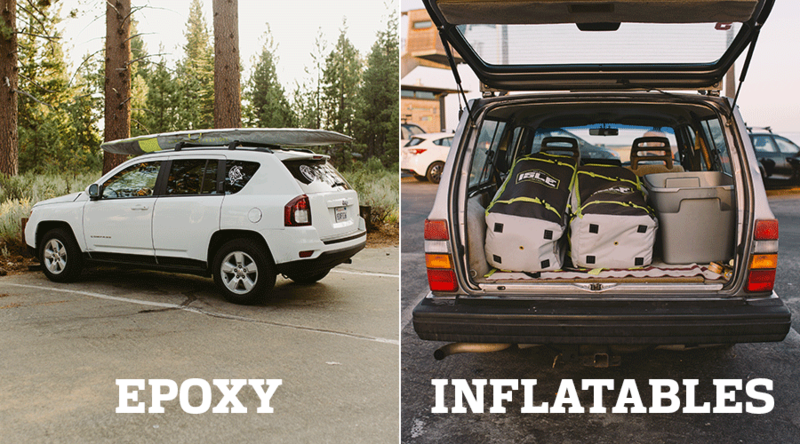 Most surfboard soft racks will fit a paddle board. Or, if your vehicle already has an existing rack system, you can simply use straps to tie down the boards to the existing hard rack. Some racks even having locking devices to protect you boards from theft. Many people just throw a towel on top of the car and run straps through the doors. Air Travel – For airplane travel, many companies make paddle board travel bags to carry your paddle board. These are typically padded, but it’s always recommended to add some extra padding of your own (such as towels or bubble wrap.) Also, keep in mind surfboard and paddle board charges of your airline before you book your ticket. Use this breakdown of SUP board bag charges by airline.